Wallace Chevrolet > Uncategorized > Oil Life Monitor System – What Is It? Oil Life Monitor System – What Is It? What is an Oil Life Monitor (OLM) ? Contrary to what some may think, the OLM is NOT a mileage counter. Nor, does it monitor the level of oil in the vehicle. Rather, it’s a software algorithm that determines when to change your oil. THE OIL LIFE MONITOR DOES NOT CHECK THE OIL LEVEL. As typical, we recommend checking the oil level when you stop for gas. While there is no actual oil sensor, the computer continuously monitors the vehicles’ engine-operating conditions to determine when to change the oil. In other words, the system will automatically adjust the oil change interval based on engine characteristics, driving habits and the climate in which the vehicle is operated. For example, mild highway driving in a warm climate will maximize the interval between oil changes, while short trip driving in a cold climate may limit the oil change to 4,800kms (3,000 miles) or so. 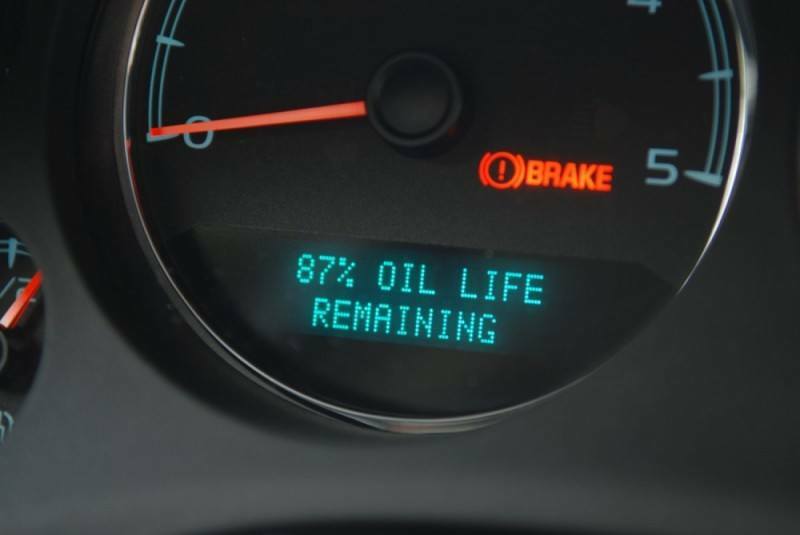 In general, most people that drive both highway & city find the GM Oil Life Monitor System will indicate an oil change about every 12,000 kms (7,500 miles) to 13,600 kms (8,500 miles). Rather than rely on the recommendation of the mechanic at your local garage- who has a vested interest in seeing your vehicle as often as possible (usually every 3,000 miles)- your vehicle now uses sensors to send information about engine revolutions, temperature and driving time to the car’s computer, which is then run through a mathematical algorithm that predicts when the oil will begin to degrade. The Oil Life Monitor runs automatically, but we recommend consulting the owners manual for a description of the specific oil change message (usually it’s something like, “Oil Change Needed”) and instructions for resetting the system. Once the vehicle has driven the appropriate miles the message will be displayed when the vehicle is first started! Do I Have to Reset The System Myself? Luckily, no! Your mechanic will reset the Oil Life Monitor System each time you go in for an oil change. However, if you change the oil and forget to rest the system the ‘change oil’ indicator will remain on until the system is reset. If more than 500 miles have been driven after an oil change without resetting the OLMS, the oil change interval should be defaulted back to 3,000 miles. After the oil has been change and the system reset, normal use can be resumed.